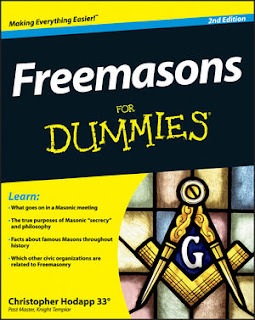 Freemasons For Dummies: Tennessee Masonic Wife: "Fiduciary Harmony"
I received this essay today from the wife of a Tennessee Past Master. It is posted without her name, but I am aware of the backstory, and do not want to place her husband in an untenable situation. According to her message, the Grand Lodge of Tennessee is about to bring charges against the Park Avenue Lodge in Memphis for supporting the recently expelled gay married couple, Dennis Clark and Mark Henderson. Brethren who openly take issue with the Grand Lodge of Tennessee's policy, in lodge or even on social media, are still being actively pursued. Just because the vote was taken at Grand Lodge last month does not mean the situation there has somehow been resolved or papered over. She wrote, "I believe the Brothers on both side of this issue in the State of Tennessee are good men, but even with good intentions, things are getting ugly. My husband came back from the Tennessee Grand Lodge meeting last month very glum. Now I know why. Brothers who dissent were booed or bullied into silent acquiescence." I am a veteran of the civil rights movement and the supportive wife of a Past Master. My husband and I tend to be polar opposites on religious and political issues. Thus, we agree not to engage in religion and politics with each other to preserve harmony in our home. Seriously, more pressing secular and nonsectarian housekeeping issues are what keeps a household or any diverse organization from going homeless. Thus, my comments come with a limited grasp of Freemasonry, but a very seasoned grasp of grassroots community organization. My comments are merely that of a loving wife who is concerned about how this "revolutionary" mindset affects my husband's brotherhood. After all, I accompany him to quite a few Masonic dinners, charities, and events. However, I must say, I am truly enamored of the wonderful architecture and historical significance of some of the buildings entrusted to the masonic brotherhood. What is troubling about polarizing on a heated issue like gay marriage, which the high court of the land has ruled on from a civil rights perspective, is that officers of the body have a fiduciary responsibility to their charges. When officers make polar decisions fueled by religion or politics which are counter to the law of the land on civil rights issues, they risk endangering their house and much of their good works and charities. Thus, while officers of upright moral character have good intentions about polarizing a political or religiously charged issue within their lodge, they also have a fiduciary responsibility to the rest of the membership, buildings, and charities. Forget about religion and politics bringing down a home. Think about the financial obligations which keep your home and dear family safe and sound. Fiduciary harmony keeps the winds of change from damaging the structural integrity of any organization, building, or relationship. Meanwhile, I understand that there are glorious Masonic buildings that are part of the foundation of American history. Some of these grand structures are recognized, subsidized, and protected by federal preservation grants. I also understand that there are charities that may be subsidized by organizations like the United Way, which in turn maybe receiving federal grant subsidies. Please bear in mind, any body or organization receiving federal subsidies risks losing said subsidies and may incur other federal sanctions if they engage in activities that encroach upon Supreme Court civil rights rulings. Additionally, nonprofit organizations and their charitable subsidiaries may be at risk from other fiscal sanctions from the federal government such as tax reclassification and accounting procedures if the organization or its subsidiaries engage in political activities. For instance, lobbying or entertaining government officials who want to push their political agendas within a lodge should be a big NO. Whilst supporting anti-gay measures which are indigenous to a certain region may seem morally correct to the officers involved, it is also a good way to bring down the structural and fiduciary integrity of their house if said measures are against the law of the land. Since there are different types of nonprofit tax classifications, it is extremely unwise for any subsidiary or appendant body to run afoul of its main organizational focus because of the complicated tax laws involved. 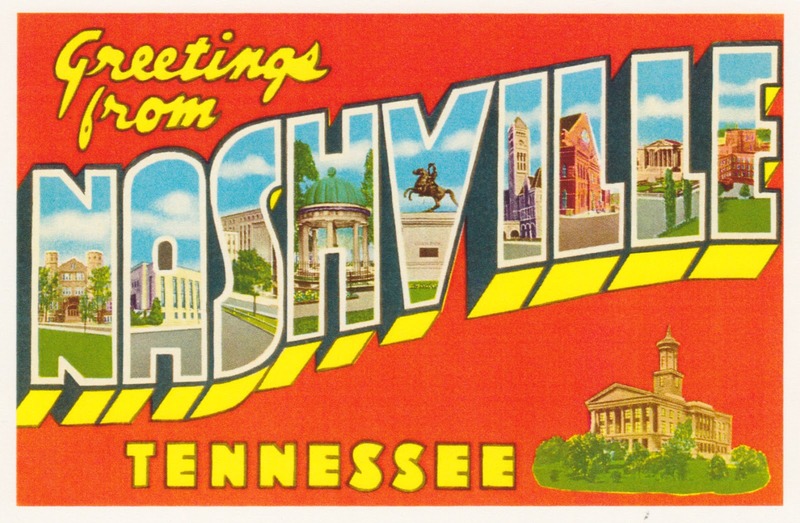 Cases in Point: In the state of Tennessee, state and municipal branches recognize the legal and fiduciary wrath which their jurisdictions would incur, should they enact anti-gay marriage measures which violate Supreme Court edict on the matter. However, well-meaning officers of the Tennessee Grand Lodge have pushed anti-gay measures into their lodge in 2016 which their own state won't touch. As a result, decent brethren, both gay and straight, are being reprimanded, forced into silence, or backed into demitting by edict of the Grand Master of the Grand Lodge of Tennessee. 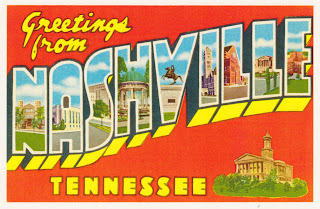 The repercussions of the GM of Tennessee’s actions have reached Tennessee brethren in the form of denouncements of the Grand Lodge of Tennessee from Grand Lodges across the world. If this unyielding, unconstitutional attitude of the Grand Lodge of Tennessee keeps up, good brethren, whatever their political or religious affiliations are, will become homeless and outcast. Bottomline: It is in a lodge's best fiduciary interest not to get involved with political issues which run counter to the law of the land. The risk of economic sanctions will rock the foundation of any structure. Brethren may wonder why some us take such a strong view on the need to withdraw recognition. This eloquent statement puts the case. However, it is not just Tennessee that is a problem. Not at all. 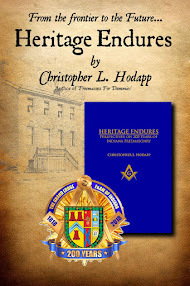 Everyone is aware that despite thirty years of discussion, a number of grand lodges will not initiate African Americans and consequently they (and now gays in Georgia and Tennessee) cannot take the Capitular, Cryptic or Scottish Rites degrees, nor join the Shrine, Star, and collateral bodies -- making theYork and Scottish rites de facto segregated. Last week an old school friend wrote me in shock. He has been a member of his blue lodge in Tennessee for nearly forty years. He is in poor health but went to lodge last month and was stopped by the tyler, who proceeded to interrogate him, ask for passes, request grips, and told him that his opposition to the exclusion of gays and African Americans meant "you are going to be out here all night". He went home. I just sent a letter to my lodge requesting a demit. I was a Past Master of the Lodge and been inactive for years because of the exact reasons that the people in the grand lodge are what we call here down south good old boys. Change must come! I believe in less than 5 years if no changes are made the Masonic organazation will no longer exist. Freemasonry in Tennessee has gone so far off the rails that the only resemblance to regular lodges is the form of the lodge. The fact that brothers who supported equality, liberty, and fraternity at the Grand Lodge and were called "f*g lover", and "Jesus hater" is a testament to the Grand Master's failure to keep order and the promotion of discrimination and bigotry at the highest levels. The Grand Lodge went so far as to oust a Grand Officer for standing up in favor of removing discriminatory language. Brother Paul is right; this is not a gay issue; it is an issue of creating second class Masons and persecuting them while barring non-whites from entering the lodge in both policy and practice. Which part of Anderson's Constitution supports this? Which Landmark? Who is willing to stand proudly and publicly to be counted as a supporter of this? Well, I have been a Mason since student days at Harvard more than fifty years ago and am determined that the grand masters and grand lodges shall do more than issue platitudinous proclamations. Enough is enough. And that applies to the collateral bodies too. it is a disgrace, it makes our memberships something to be ashamed about, and the lack of action is cowardly, It will lead as the lady's essay suggests, to draconian measures against the Craft. We will be unwelcome at civic events, taxed to extremity, excluded from school events and memorial ceremonies, and members who are pursuing a career will find that it will be wise to resign. If that seems pessimistic, wait until autumn. What will save us is the very firmest, strongest action by the grand bodies.